Six Pakistani fashion designers will receive mentorship from UK experts and showcase exclusive capsule collections in the UK. Now in its second year, Fashion DNA: Pakistan is our annual programme providing mentorship for six Pakistani fashion labels. This year through a partnership with the Ethical Fashion Forum and SOURCE consultancy the programme will focus on sustainable and ethical approaches to fashion. The programme develops the skills needed for fashion labels to work internationally. Participating designers this year are Gulabo, JEEM, Munib Nawaz, the Pink Tree Company, Sonya Battla and Zuria Dor. 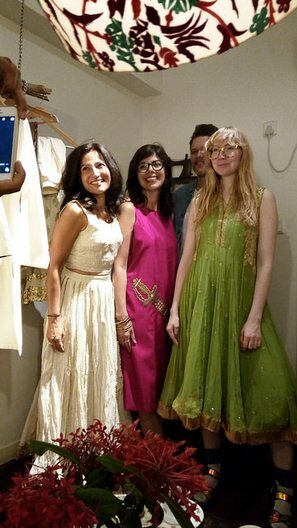 The designers were chosen by a panel of industry experts, including Martyn Roberts, Director of Fashion Scout; Rebekah Roy, Fashion Stylist and previous Fashion DNA mentor; and Ayesha Mustafa, the founder of ethical e-commerce site Fashion Compassion. UK mentors are Toby Meadows, fashion business consultant and the international best-selling author of 'How to Set up & Run a Fashion Label'; Carri Munden, Stylist, Creative Director and Founder of the cult label Cassette Playa; Safia Minney MBE, Founder of People Tree; and Sury Bagenal, Sustainable Fashion Design Consultant. 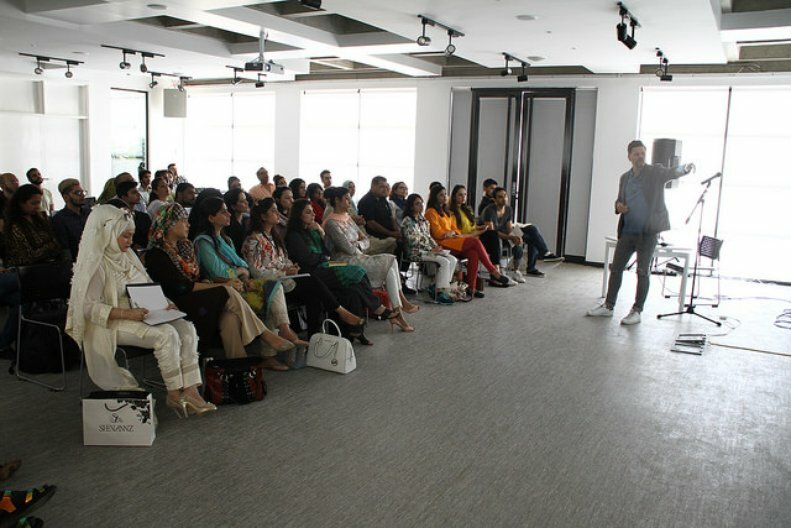 Based on the success of the first cycle, this year the programme will take the format of an eight-month-long intensive training, including face to face sessions, online sessions and catwalk shows in the UK and Pakistan. Mentorship will focus on fashion business skills, sustainable and ethical production, alongside branding and communications. The mentorship programme will shape the development of a capsule collection, with a clear brand positioning, utilising the skills acquired in the workshops; research, design, marketing and production of samples for a catwalk. 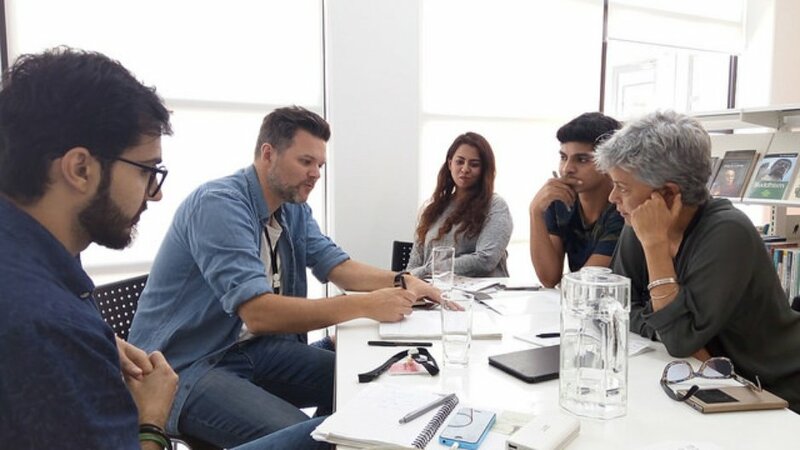 The collections will be showcased in London at Fashion Scout, which is one of the UK's largest fashion showcases, and then locally with a catwalk hosted by programme partner Fashion Pakistan Week in Karachi. 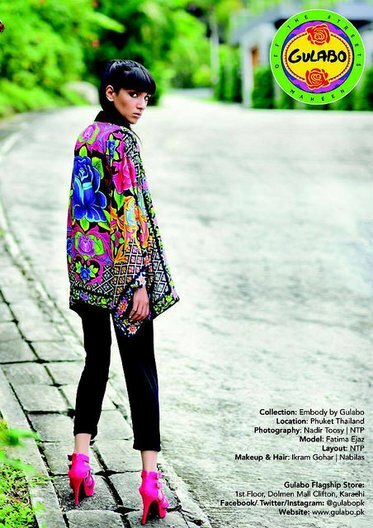 Gulabo was founded in Karachi in 2007 and is now one of Pakistan’s most loved brands, inspired and driven by local art. The Gulabo truck art scarves, tote bags and fashion lines have fast become trendsetters in high street fashion in Pakistan. There is no 'Gulabo' style – its appeal is broad. The mantra, "Think Global – Act Local”, drives the brand. Gulabo adapts to customer’s needs, wants and culture, but maintains a cosmopolitan and contemporary touch. 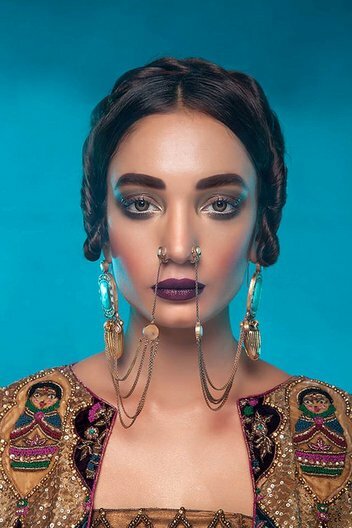 With two critically-acclaimed rising talent showcases at PDFC Loreal Bridal Couture Week and this year’s Bank Alfalah Daraz Fashion Week, Jeem seems to be on the right track under Hamza Bokhari, the creative head of the brand. Having shown collections at both local and global fashion weeks and having already dressed international celebrities, Bokhari has been working to better his craft and his skills since he graduated from the Pakistan Institute of Fashion Design (PIFD) in 2012. Within the span of three years, Jeem offers street wear, luxury wear and couture under its umbrella. Jeem's unique selling point has always been its exquisite design sensibility which sets it apart from the plethora of womenswear brands in the country. Munib Nawaz is a progressive idealiser, an entrepreneur, a fashion designer and above all a believer in humanity! Munib Nawaz is a critically acclaimed fashion designer, innovative and creative; specialising in men’s formal wear. Inspire. Better. Life. Style. These four words define Munib’s personal and professional objectives in a nutshell. Having established himself as a force to be reckoned with in the fashion circles in the last 15 years, Munib has boutiques and production houses in 3 metropolitan cities of Pakistan as well as a seamless distribution network across the country. The Munib Nawaz label began as a dream project to offer modern trendy clothes for the growing fashion conscious market with very limited resources, but today MN is one of Pakistan’s leading and most recognised luxury menswear labels with the highest brand recall. He’s made his mark on the international fashion landscape by winning the Best International Menswear Designer category in the Miami Fashion Week 2009. 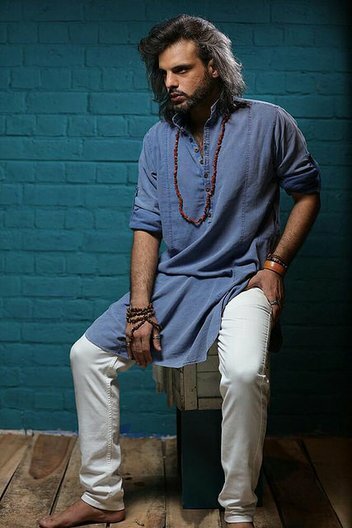 He’s had nominations and won prestigious awards in the menswear category in Pakistan. Fashion for Munib is an artistic stage for self-expression. 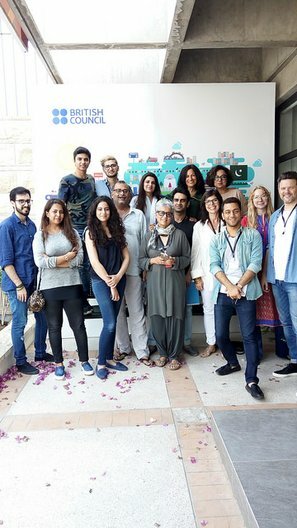 The world’s socio-political environments as well as well as music, literature and art movements from around the world serve as inspiration for Munib. The Pink Tree Company is home to a definitive lifestyle and speaks to individuals who value quality, creativity and a distinctly refined taste. A dream of three lifelong friends, The Pink Tree Company aims to be a lifestyle choice solutions brand from Pakistan—from clothing to homeware. Starting with women’s fashion as its first product line, the brand caters to all wardrobe solutions from ready to wear to couture, for all seasons and occasions. Deeply steeped in culture and heritage, sharp tailoring, sophistication and elegance remain the core of The Pink Tree’s design essence. If the ready to wear line boasts of quirkiness, individuality and simplicity, then the formals and couture personify grace, intricacy and elan. Pick any piece by The Pink Tree, it is sure to be a conversation starter reflecting the brand philosophy loud and clear. The Pink Tree—Clothes with strength, style and soul. Sonya Battla has become a mark of high-end fashion since she opened the doors to her boutique in 1999. Using highest quality of fabrics, each collection claims a uniqueness of style, created by colour, innovation of patterns and drape with a hint of ethnic embroideries and other details making them interesting in their own space. She is inspired by nature and hand crafts, yet keeps the silhouette modern and cutting edge. Zuria Dor is an online western wear brand with a focus on formal and semi-formal dresses either ready-to-wear or made-to-measure. Orders are taken online at zuriador.com with delivery to over 180 countries free via DHL. The young founders of Zuria Dor are two engineers, Madiha Latif and Kinza Latif, who returned to Pakistan after extensive education in the UK to assist with the economic emergence of the nation. This is their entrepreneurial debut to push for innovation, international outreach, technology-backed commerce, sustainability, ethics and a much needed tow to bring Pakistan into the schematics of the global village. The vision is simple – to build a brand that is based locally but is recognised globally. The brand made waves earlier in the year when a Zuria Dor dress was worn by Sheridan Smith, a British actress, to the BAFTA awards in London. Sury Bagenal is a fashion designer with more than 20 years of experience. She has designed womenswear collections for luxury brands such as ME+EM and mainstream brands including Monsoon, House of Fraser and Debenhams. Sury's interest in sustainability led her to become Head of Design of an Eco brand ADILI.com from 2007 - 2010, working with the CEO on developing a fashion brand that was sourced with sustainability at its core. The collection was featured in fashion magazines such as Harpers Bazaar, Tatler, Marie Claire and Grazia. Working closely with buying teams and creative directors she has designed a whole range of multi-product womenswear collections from Europe; India and the far east including both mainstream or Sustainable. Sury has worked across all fashion design processes from inspirational concepts mood boards, trend and colour through to design prototypes, fit sessions, fabric sourcing and production to presentation. Sury is versatile and creative, interested in new opportunities and offering consultancy in design, trend and production. She has experience in small start-ups and independent brands. Entrepreneurial, she enjoys blue sky thinking and being strategic. Toby Meadows is a Fashion Business Consultant and the international best-selling author of ‘How to Set up & Run a Fashion Label’ currently translated into 9 different languages. He is the founder and Director of TNM Consultancy, a collective of fashion professionals providing creative and business services to the fashion industry, as well as a Director of the London based cult womenswear designer label Belle & Bunty. For the past 10 years he has been a Visiting Lecturer at the London College of Fashion, invited to host conferences on Developing a Fashion Label, Brand Communication and the Future of Fashion as well as writing and delivering short courses for professional development within the fashion industry both in the UK and abroad. Toby is regularly invited to speak and run workshop at international Fashion Weeks and has been asked to contribute as an industry expert in media publications around the world including the Financial Times. As well as consulting to hundreds of small to medium size fashion enterprises Toby has worked with some of the world’s largest and most recognisable fashion business from high street giants, Gap, Zara, Topshop to high end designer retailers, Harrods, Ralph Lauren, Gucci, Christian Dior, Alexander McQueen and Vivienne Westwood to name merely a few. He currently also delivers programmes and mentorship for fashion incubator programmes around the world including: The Centre for Fashion Enterprise in London, Fashion Incube in Istanbul, FashionForward in Jakarta and Inkubaator in Tallinn working with the next generation of highly talented emerging designers helping to develop an infrastructure for their business and increase their chances of longevity. Safia Minney MBE, FRSA, is the founder of People Tree, the pioneering Fair Trade and sustainable fashion and lifestyle brand. She is also the author of 'Naked Fashion -The Sustainable Fashion Revolution' and 'Slow Fashion - Aesthetics meets Ethics' (published in April 2016). She developed the first organic and Fair Trade clothing supply chain and is recognised by the World Economic Forum as an Outstanding Social Entrepreneur. She initiated World Fair Trade Day and Rag Rage, and is a founder member of Ethical Fashion Forum and Fashion Revolution, which promote ethical fashion and sustainable design. Safia has over 25 years of experience in campaigning, publishing and media. Safia has won dozens of awards on her work in developing in Fair Trade and sustainable supply chains. bringing livelihoods and social development to over 5,000 economically marginalised farmers, artisans and tailors in the developing world. Carri Munden is a designer, stylist and creative director. As founder of cult luxury brand cassette playa Carri explored and pushed the boundaries of digital fashion presentation showing both interactive digital installations and an AR catwalk at LFW. As a stylist and creative director Carri has worked with brands including Nike, Showstudio and Billionaire Boys Club, and UK artists MIA and Skepta.